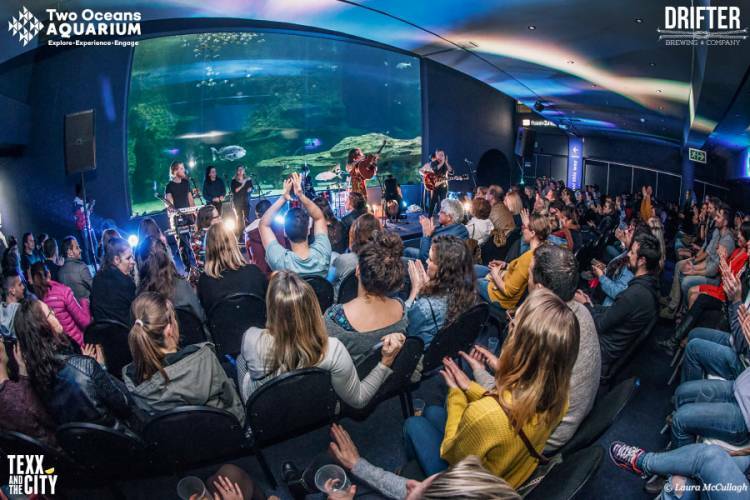 The Two Oceans Aquarium and Texx and the City are proud to present After Dark, a stripped down series of events this winter featuring some of the Mother City’s finest bands. On three nights only, in June, July and August 2018, the area in front of the Aquarium's I&J Ocean Exhibit will be transformed into a cozy, living room-style setting where you’ll be able to enjoy two bands on each evening. Holding 1.6 million litres of sea water, this exhibit provides a massive home to rays, musselcracker, green sea turtles, a giant guitarfish and many more marine creatures. This event on 29 August features footstomping electro indie rocker Majozi & Zimbabwean indie singer-songwriter Gemma Griffiths, who will perform acoustic versions of their staple sets. Cape Town-based brewery Drifter Brewery will provide either a tasty Buchu-infused Gin ‘n’ Tonic or a Pick Me Up Pale Ale to each guest upon arrival and the full range of Drifter beers will be on sale throughout each event. Doors open at 7pm with the first act on stage promptly at 8pm and the second act on at 9pm. A cash bar will also be available but no food will be served.